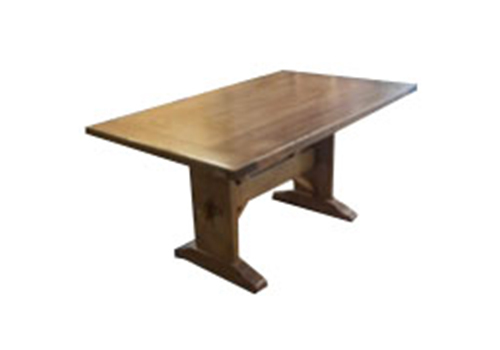 All WoodWorkSpaces conference tables are hand crafted and can be designed to fit your ideas and specifications. 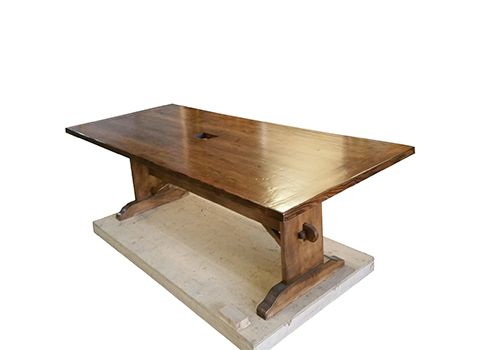 Simply tell us the size, and we will craft a unique conference table for your meeting room. We can remove the live edge if you prefer and give the surface a crisp straight edge for an even more contemporary table. Many of our customers appreciate a unique inlay for a more artistic and original look. Our conference room tables, as well as our smaller huddle room tables, can include cutouts for power troughs or power grommets at either end of the table. 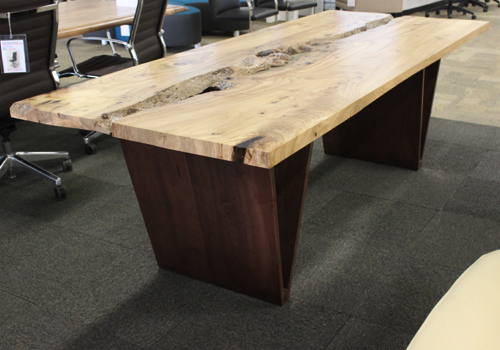 Order a WOODWORKSPACES conference table similar to the Live Edge or Inlay tables pictured here made especially for you in any finish or size to fit your conference room. The beauty of WoodWorkSpaces is that we can produce almost anything that you can imagine. Not only is the material itself so unique in its history, and each piece an original, the design can be, too! We will work to create L-shaped desks with privacy screens, storage pedestals for extra files and more space for computer monitors, or we can build something simple if you need a desk for a laptop with minimal storage. 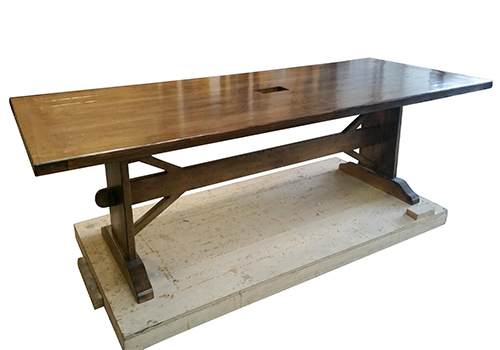 Whatever space issue your office may be facing WoodWorkSpaces can build a comfortable, aged beauty of a desk, configured for a perfect office solution. WoodWorkSpaces for the office break room: Distressed islands, butchers block or farmhouse table configurations for group lunches and snack preparation in company kitchens are becoming more popular and are a favorite of ours to build. WOODWORKSPACES can source, design and build tables for your office kitchen that will add a note of calm and comfort during break and social time. WoodWorkSpaces for the communal huddle room: We've been approached by companies that are looking to add character small, private rooms, in this case we have built reclaimed pine tables that seat six people for smaller work meetings or conference calls. WoodWorkSpaces for the reception area: the first room your client enters sends an immediate brand message. Some of our clients prefer sleek and minimal with clean lines and lighter finishes, others prefer a heavier, more rustic feel with a dark and earthy finish. Any one of these options can be accomplished adding an eco-friendly and healthier style using WOODWORKSPACES, to build your reception desk, end tables, coffee tables or benching solutions. Contact one of our design experts to develop a WOODWORKSPACES solution for your next office furniture project. 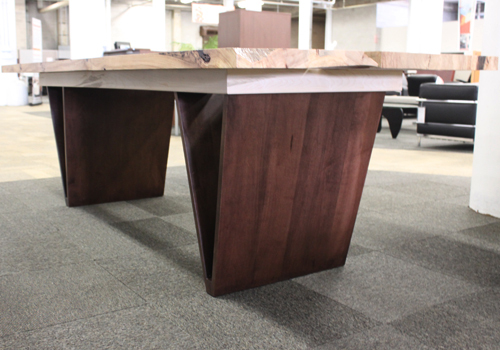 WOODWORKSPACES is now viewable at our showroom daily, Monday through Saturday and on our website.